Nothing ever stands still in Sue Barton's household. Just when Sue thinks that she has everything under control, with Tabitha at school, the twins and baby Sue in good health, bang comes the discovery that Dr. Bill, her husband, is in trouble. He comes down with pneumonia on a fishing trip, and when they get him out of the woods he is ordered off to a sanatorium for six months. The emergency brings all of Sue's energy to the surface: she applies for and quickly receives a job as staff nurse at the Springdale Hospital, where she had once been Director of Nurses. She returns to the hospital feeling like an old fire horse, forgetting her troubles in the happiness of the old routine - temperatures, bed making, medicines, all the care of sick and frightened people. Sue enjoys working directly with patients far better than executive work, and it isn't long before she is involved in staff personalities and problems. Not all of those deal strictly with nursing. There is the love affair of a student nurse and a fancy-free intern which need an expert prod from Sue. 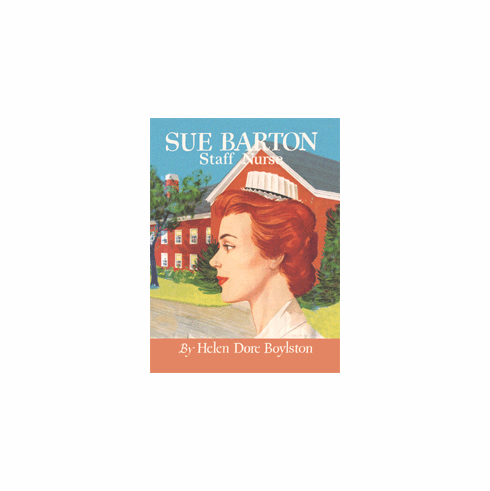 Sue Barton's talent for getting into and out of a tangle of human relations propels her through her personal and professional ups and downs in this final tale of the enchanting red-headed nurse from New Hampshire.